How do you apply? It’s very simple! 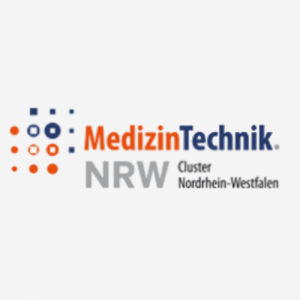 The eHealth Venture Summit 2015 at MEDICA Health IT Forum (17th of November 2015, Medica Hall 15, Düsseldorf, Germany) brings together key firms from the pharmaceutical, communication, insurance, medtech and hospital industry with state of the art eHealth start ups. The key purpose is to achieve a sustainable and concrete strategy overview of each industry and to implement eHealth on a national and international level. 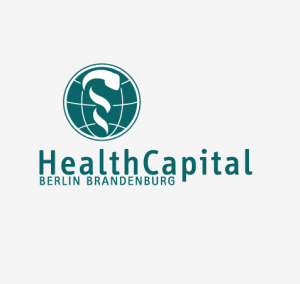 The content of the summit consists of an overview about global e-Health developments, a short outlook of industry specific strategies of key healthcare industry players and panel presentations of worldwide leading eHealth start ups. Encounter the hottest trends and innovations in Health IT as well as investment at the “eHealth Venture Summit”. 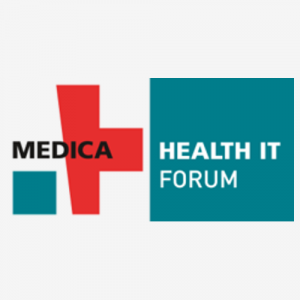 This event at the MEDICA Health IT Forum showcases new companies, offers valuable insights and shall foster strategic partnerships and investment opportunities crucial to bringing innovative products to market. The event will feature seasoned industry experts from leading companies and funding specialists. The conference is jointly organized by Syte, CureMyWay and the Institute for Drug Safety of the University Hospital Essen. The “eHealth Venture Summit Innovation Award” offers eHealth Startups the opportunity to obtain critical peer review and feedback from a world-class panel of clinical and commercial experts and to get in contact with potential investors. The finalists will have the opportunity to meet the experts face-to-face, to prove the merit of their idea and receive valuable advice and guidance for potential joint next steps, e.g. in form of joint pilot phases– an opportunity that money really cannot buy. Winning the eHealth Venture Summit Innovation Award offers unparalleled clinical and commercial validation, as well as valuable exposure to an international audience that should help spur investors and other interested parties to take note of your innovation and help it progress towards benefiting patients. Deadline for an application is Wednesday, 21st of October 2015, 5.00PM EST. Stefan is a nephrologist and diabetologist and works as senior physician and transplant officer at the University Hospital Essen. He develops and evaluates as head of the initiative „iNephro“ different telemedicine and medical smartphone applications together with various partners. Talya is an accomplished scientist who worked over the past decade with Nobel Laureate Daniel Kahneman at Princeton University, taught consumer behavior at Wharton, and consulted Johnson & Johnson, Pfizer, Millicom, and other health and media companies. She is on the advisory board of S2H (Switch to Health), Telesofia, and HOW (Health Options Worldwide). Stefan works as clinical physician and transplant officer at the University Hospital Essen. He specialised in internal medicine, nephrology and diabetology. He completed postgraduate business studies at The Open University (UK). 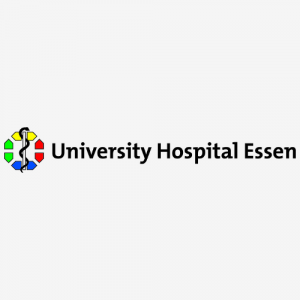 As head of the Institute for Drug Safety at the University Hospital Essen his research activity focuses on the development and evaluation of novel strategies to improve drug-therapy and –safety. 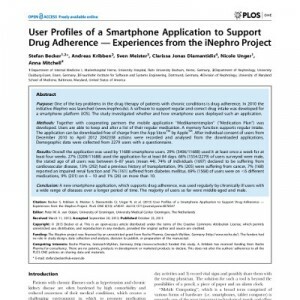 He rolled out one of the most popular and best studied mobile applications in the field – the “iNephro Medication Plan”. 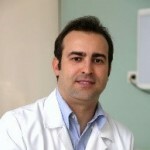 Rodrigo is a physician with training in geriatrics, exercise and resistance training physiology in aging from University of São Paulo (USP), healthcare management from Fundação Getúlio Vargas (FGV), innovation and entrepreneurship from Stanford University and he is also a board certified occupational health physician. He is the Corporate Health and Safety Manager in the German Hospital Oswaldo Cruz (GHOC) where he coordinates a team of about 40 people. He leads the population health management initiatives of the same organization which is located in São Paulo, Brazil. Rodrigo was project leader of Programa Bem-Estar (PBE), an extensive wellness program designed to promote health and quality of life in the workplace, focusing on progressive and sustainable behavior modification, which offers tools, activities and professional support for GHOC’s employees and their families. PBE has been nationally awarded as an outstanding workplace health promotion program, twice. As a professor at FGV’s Healthcare Management Executive MBA, he teaches in the fields of health promotion, disease prevention and population health management. 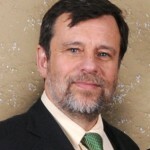 He is a founding member of the European Society of Lifestyle Medicine and a member of GliMMER Initiative’s Council of Directors, a global voice devoted to disseminating and applying evidence-based health promotion and disease prevention. He holds special interest in preventive medicine, health promotion, health and wellness coaching, geriatrics, mHealth, telemedicine, population health management, behavioral economics, innovation, entrepreneurship, health startups and medical leadership. Klaus-Michael is a professor for sports medicine at the University of Hamburg, medical director of the Institute for Sport and Exercise Medicine and vice dean of the Faculty of Sports Science at the University of Hamburg. 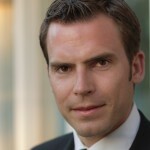 Among others he is president of the German Society for Sports Medicine and Prevention (DGSP). 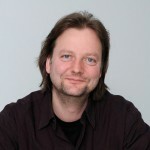 Jörg holds a diploma in computer science from the Technical University Berlin and a PhD from the Technical University of Cottbus. 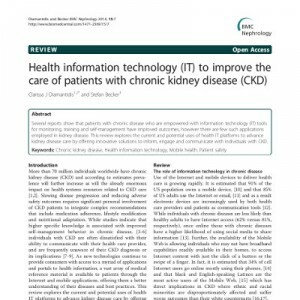 In 2000 he took an offer from the Fraunhofer-Institute for Software and Systems Engineering (ISST) where he developed the eHealth domain as a new business segment. 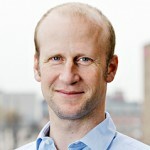 After the integration of Fraunhofer ISST Berlin into the Fraunhofer-Institute for Open Communication Systems (FOKUS) in 2012 he became the head of the newly founded eHealth department at Fraunhofer FOKUS. 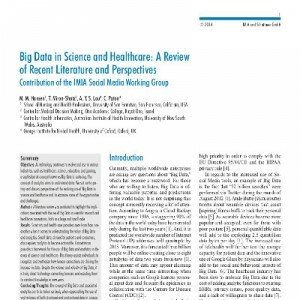 Jörg’s major research interests are on platforms and solutions for cross-enterprise health data sharing, with a strong focus on issues related to patient privacy, data security and semantic interoperability. He is member of IHE International and the co-editor of an IHE White Paper (Access Control) and an IHE Profile (Cross-Community Fetch). Jefferson is the founder and Director of the School of Health Education and Sciences at the German Hospital Oswaldo Cruz, in São Paulo, Brazil. He is also Professor and Health Academic Coordinator of the Getulio Vargas Foundation in Rio de Janeiro, one of the main business schools of Brazil. 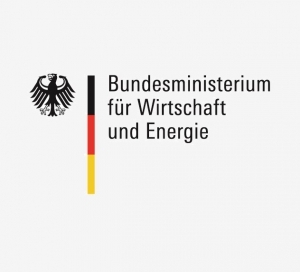 One of his main interests is e-Health, and he has created and coordinates the Telehealth and Telemedicine Centre of the German Hospital Oswaldo Cruz. He graduated from the Medical School of the Federal University of Rio Grande do Sul, in Porto Alegre, Brazil, and did his neurological training at the Institute of Neurology, University of London, England. His MD (PhD) in Clinical Medicine was obtained at the Federal University of Rio Grande do Sul and he also has an MBA in Strategic Management and Information Technology from the Getulio Vargas Foundation. Jefferson was the founder and former Director of the Institute of Education and Research at the Moinhos de Vento Hospital in Porto Alegre. He was a Full Professor of Neurology at the Medical School of the Pontifical Catholic University of Rio Grande do Sul, in Porto Alegre, before moving to São Paulo. He has published several articles in scientific journals and chapters in books on subjects such as neurology, stroke and telemedicine. He has also worked as a consultant for the Brazilian Ministry of Health, the World Bank (Washington) and the World Health Organization (Geneva). 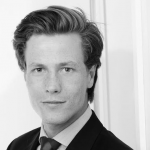 Florian is Head of Strategy and New Business Development at Philips GmbH since 2014; Previously he has worked at HausMed eHealth Services and The Boston Consulting Group. Florence is currently International Director for Global Government Sector at the headquarters of Alcatel-Lucent. Her current position entails relations with governments, multilateral and bilateral funds, as well as international organizations, an ideal platform to address the economic and social enabling effects of mobile technology and broadband in the developing world. She is a passionate advocate of Digital Health and has helped develop a large scale multi-stakeholder mHealth program to address diabetes in Africa, which has started in Senegal, and is now working to cross-fertilize the project in other countries. An ambitious national project is now in full development in Mexico based on using mobile technology to address diabetes, obesity and overweight. 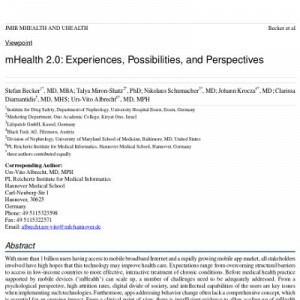 Her past work in higher education and familiarity with global health has influenced her in supporting mHealth and mLearning for health in particular. 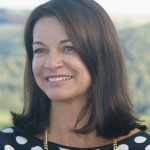 She believes that global corporations now hold a responsibility in bringing their core technologies, products, services and competencies to form alliances with NGOs, Social Entrepreneurs, Foundations, Governments and international organizations to help develop sustainable business models which can then be easier to scale and replicate across regions and market. Arnold, born in Santiago de Chile on February 25th 1958, graduated from the Medicine Faculty, Universidad de Chile in 1984. Awarded by the Chilean Medical Association as the best graduate of the year. Trained in Neurology in the Facultad de Medicina, Pontificia Universidad Católica de Chile. Staff of the Neurology Service of Clínica Alemana since 1989 and Consultant at the Emergency Service at Clínica Alemana 1988- 2011. Set up the Thrombolysis Program in 1997. Head of the Neurology Service of Clínica Alemana 1993 – 2011. 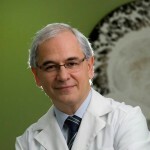 Vice-President of the Chilean Society of Neurology, Psychiatry and Neurosurgery 2010- 2011. Full Professor Facultad de Medicina Clínica Alemana, Universidad del Desarrollo since 2009. Main topics of publications: Acute Treatment of Stroke, Stroke Epidemiology, Brain Death. Pioneer work in the organization of thrombolysis and telemedicine in stroke in a developing country. Director of the Neuroscience Center, Universidad del Desarrollo 2012 – 2015 Board of Directors of the Corporación Chileno Alemana de Beneficencia. 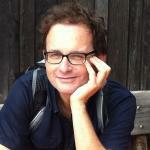 David is the founding director of EU health policy monitoring service EU MONITR. He is also an independent consultant with extensive experience in European public affairs. David benefits from lengthy experience of working with EU governments and trade associations in the healthcare sector. He has a track record of building European alliances for the purpose of lobbying on specific issues of common interests. Through this on-going experience David has developed a large network in the EU healthcare circle. In addition to his professional activities, David regularly gives lectures to health professions university students in order to help them understand how EU legislation will affect their careers. 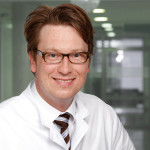 At his time as an interventional cardiologist Andreas focused on the development of innovative techniques like intracorporal non-fluoroscopical 3-dimensional navigation and stem cell delivery. He was co-founder of a start-up which now delivers advanced medtech for heart catheter laboratories worldwide. Following this, Andreas joined the Boston Consulting Group and then founded his own consulting company and SYTE, the strategy institute for e-health. SYTE focuses on e-Health intelligence, strategy consulting and venture implementation with a global perspective. 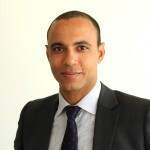 Milan is an Allianz Executive and part of the Strategy & Ventures team of Allianz Worldwide Partners (AWP), the global B2B2C player of Allianz. AWP consists of Allianz Global Automotive, Allianz Global Assistance and Allianz Worldwide Care and combines insurance, assistance and technology. Prior to his current role, he helped drive strategic initiatives on Allianz Group level. He has a background in strategy consulting (working internationally for Oliver Wyman) and holds a diploma degree in international business administration. Alexander Kirstein was born in 1963 in Nuremberg and studied Medicine at the Heinrich Heine University. After three years at Boehringer Mannheim as a clinical project manager, he joined 1993 the Boston Consulting Group in Dusseldorf. 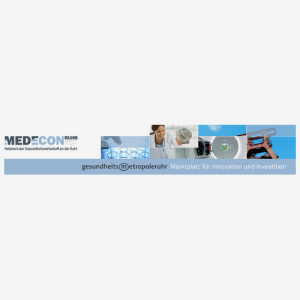 There he worked as a member of the worldwide health care practice group focusing on medtech and hospital consulting. From 2004-2013 he served as Director for the economic consolidation of the University Hospital Hamburg-Eppendorf. 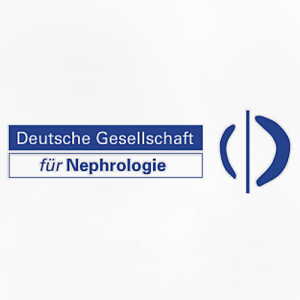 Prof. Kribben is Director of the Department of Nephrology, University Duisburg-Essen. 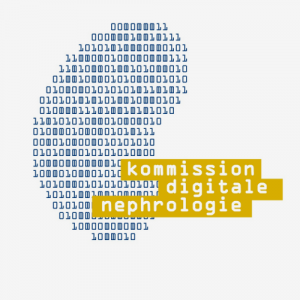 He is on the board of the German Society of Nephrology and vice-chairman of the commission Digital Nephrology. Talya is a decision scientist (PhD. psychology), who trained with Nobel Laureate Daniel Kahneman at Princeton University and taught at Wharton, University of Pennsylvania. Her research focuses on medical decision making, and she is deeply involved with the industry – from startups to big pharma (Pfizer, JNJ, BMS, Novartis, Abbvie), and agencies (DraftFCB, Edelman PR). She is CEO of CureMyWay, a consulting firm dedicated to creating behavior change among consumers, patients and physicians. 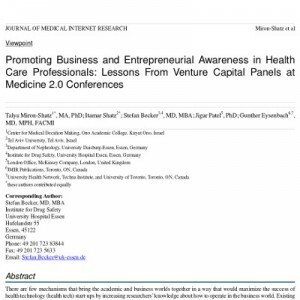 Talya is deeply involved with industry, having created the VC panel for Medicine 2.0 (2011, Stanford; 2012, Harvard; 2013, London). She is one of the organizers of NYC’s Health 2.0 meetup, a popular pubic speaker, and a leader in behavior change and digital health. Justus studied Medicine and Healthcare Economics. He did his Ph.D. on the profitability of surgical interventions. He is working on the implementation of telemedical second opinions at the Center for Musculoscelettal Surgery of the Charite Berlin. 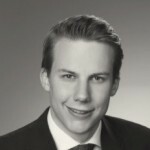 Justus pursued a business education (BSc, MSc) in finance and strategy and worked in M&A investment banking and consulting in Germany, England and Brazil. He opened a Latin America office of Bayer in Sao Paulo and specialized at SYTE on strategic eHealth investments. 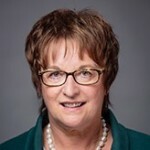 Brigitte Zypries has been serving as Parliamentary State Secretary at the Federal Ministry for Economic Affairs and Energy, where she coordinates Germany’s aviation and space policies. Before that, she was Federal Minister of Justice of Germany from 2002 to 2009 and State Secretary at the Federal Ministry of the Interior from 1998 to 2002. 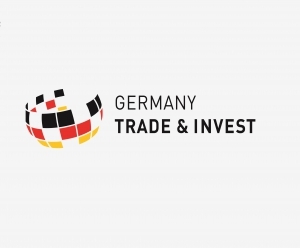 It was chosen from among 6 amazing companies, pre-selected to participate,from Taiwan, the US, Portugal, Germany and Israel. The company gamifies physical therapy, in a way that engages patients and increases adherence to a much needed practice which, as CEO Dudi Klein puts it, patients find BORING. 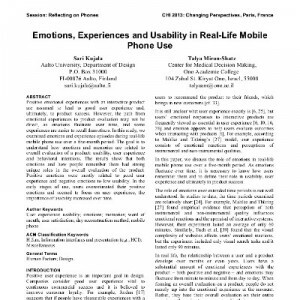 This dovetails with keynote address from Ram Fish, VP of Digital Health at Samsung Strategy and Consumer Insight. Fish, who presented the SIMBAND, declared that the groundbreaking band can sense, define trends, and engage, so that the ultimate goal is to create behavior change. 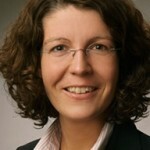 Eva-Maria is a lawer at PricewaterhouseCoopers Legal in Duesseldorf, Germany. She specialized in data protection and internet-/ IT-law and is focused on start up consulting. Yair is a junior partner with McKinsey & Company’s London office, where he focuses on healthcare – working with payors and providers on matters of strategy, turn around and innovation in healthcare delivery. Yair has worked with leading hospitals in the UK, EU, Far East and Middle East, as well as with payors and regulators. Prior to joining McKinsey he was a practicing clinician. Ram is responsible for driving new initiatives focused on disruptive technologies and platforms for the health and wellness market. Ram has more than 15 years of experience in business development, product management and corporate strategy. He was the founder and CEO of BlueLibris, a leader in personal health monitoring and safety technologies that was acquired by Numera Health. He was a member of Nokia’s Strategic Initiative Group, leading the company’s strategic expansion into new device categories. Prior to that, he founded Fonav, which built software and services for connected devices and was acquired by Trolltech. Ram started developing software at the age of 12 and had his first hardware product in production by the age of 18. 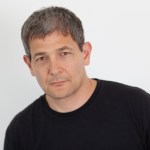 He has worked in the mobile industry since its inception and has led both Openwave and IXI mobile platform efforts. He holds bachelor’s and master’s degrees in computer engineering from Case Western Reserve University and an MBA from Yale University. 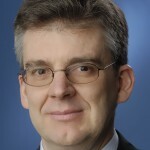 Martin is a Business Development Executive within the Corporate Headquarter organization of IBM for the IBM Research Division. 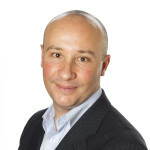 He works on the commercialization of IBM Research assets and technologies with clients and partners in Europe. The assets and technologies are created in the 12 IBM Research Labs around the globe by 3000+ scientists of various disciplines reaching far beyond the well known IBM product spectrum. 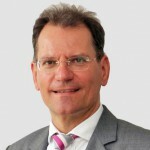 Eckhard Nagel is Medical Director and CEO of the University Hospital Essen (Germany) since 2010 and Head the Institute for Medical Management and Health Sciences, Bayreuth University (Germany) since 2001. He studied Medicine at Hannover Medical School (Germany), the University of Vermont (USA), the Dumfries Royal Infirmary Hospital (Scotland), the Joseph Fourier University in Grenoble (France) and at Dartmouth Medical School, New Hamphire (USA). After he graduated as a Doctor of Medicine in 1987 he worked as an academic assistant and later as senior physician at the Divison of Abdominal and Transplant Surgery, Hannover Medical School (Germany). Furthermore Eckhard Nagel studied philosophy and history at Hannover University and graduated as a Doctor of Philosophy in 1995. 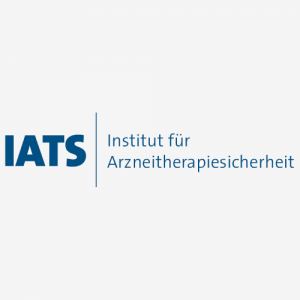 Since December 2000 he is chairman of the foundation board of the Rudolf Pichlmayr foundation and medical director of the rehabilitation center “Rehabilitation after Organ Transplantation – Ederhof” in Stronach, Austria. From 2001 to 2010 he was director of the transplantation center and head of the Division of General, Visceral and Transplant Surgery at Augsburg Hospital (Germany). In 2010 he was granted with the honorary doctorate by the Faculty of Protestant Theology, Philipps-University, Marburg/ Lahn (Germany). Eckhard Nagel is member of the German Ethics Council and member of the executive board of the steering committee of the German Evangelical Church Conference. 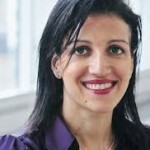 Anat is a Managing Director at OrbiMed. OrbiMed is the world’s largest healthcare investment firm with over billion under management across public and private asset classes. The firm covers the entire healthcare spectrum, investing in biopharmaceuticals, medical devices and health IT. 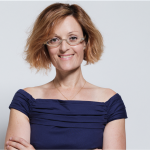 Anat has over 19 years of healthcare experience, with a particular passion for digital health. She currently serves on the boards of Treato – patient big data analytics, Tyto – mobile telemedicine device – and Medigus – surgical endoscopy. Prior experience includes seven years with McKinsey & Company in London, where she was an Associate Partner, managing strategy and M&A projects for senior management of the world’s preeminent pharmaceutical and biotechnology companies. Among other accomplishments, Anat led pharmaceutical spinout work resulting in the creation of two European biotech companies, which subsequently had IPOs for over billion. Post McKinsey Anat joined Apax Partners, where she focused on life sciences investments. Subsequently Anat served as a director/advisor to the boards of life science companies and investors. She earned her M.B.A. at INSEAD and her LL.B. at Tel Aviv University.